The non-woven 75 gram polypropylene convention tote has a wide open main compartment. 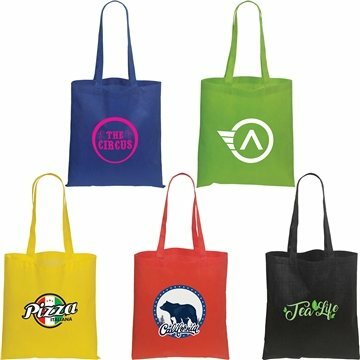 It is an extremely popular and economically priced tote that comes in a variety of colors. Give your next convention, tradeshow or promotion that extra advertising edge. It is an eco-friendly alternative to a plastic bag. It has two 21" self-material handles/shoulder straps.